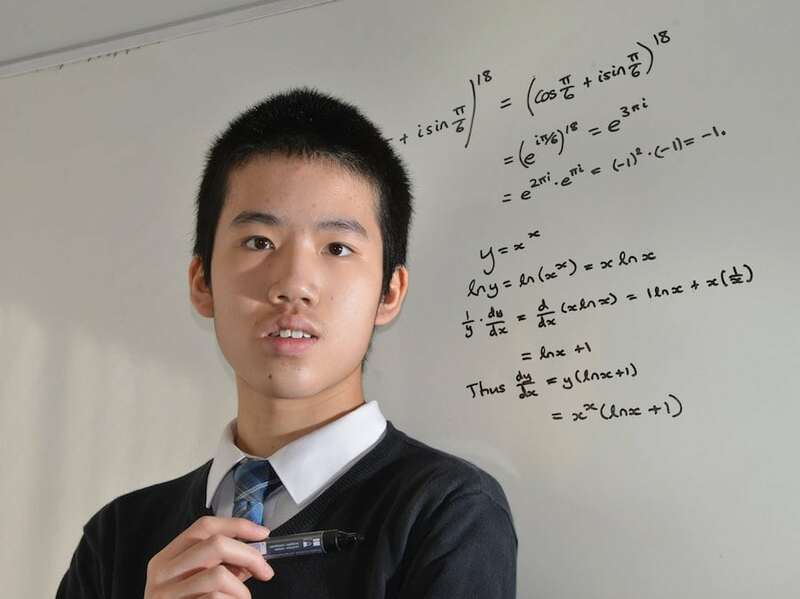 One of Britain’s youngest graduates has earned a first class honours degree in Maths after studying in his free time – at the age of only 13. Wang Pok Lo is already studying for his Master’s degree after achieving the remarkable feat by completing an Open University course. The child prodigy was doing sums when he was two-years-old and passed his Advanced Higher Maths exams when he was only 11. Known as Pok to his friends at Queensferry High School, in South Queensferry near Edinburgh, he is still en route to complete his schooling. But the teenager is set to enrol at Sheffield University to study a part-time MSc in statistic with medical applications. Pok, who moved to Scotland with his family from Hong Kong in 2006, will continue to study for the rest of his exams at the same time as his Masters. The S4 pupil said he was delighted with his result but admits that it is getting more and more difficult. He said: “On the results website you have to check each module for the individual result and as I scrolled through I was really happy, even getting 100 per cent on one of the modules. “I do enjoy doing maths but it is getting very challenging. Cara Prot, curriculum leader for maths at Queensferry High, described the star pupil as an inspiration. 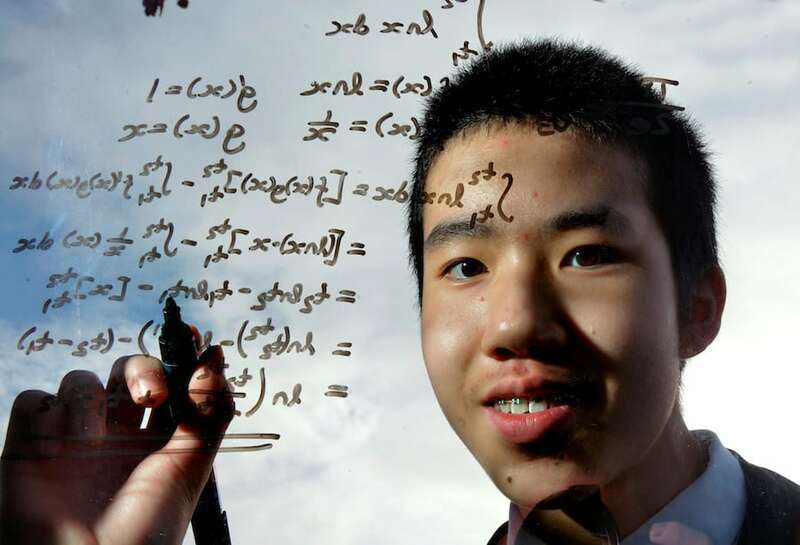 Wang Pok Lo, 13, a student at Queensferry High School, West Lotian, has recieved a first class honours degree in Maths from the Open University. She said: “It has been absolutely tremendous to have Pok with us over the last few years. While he was still a pupil at Towerbank Primary, Edinburgh, Pok zipped through the entire pre-Higher maths curriculum between the ages of seven and eight. He has been capable of carrying out addition, multiplication and division tasks from the age of around two. He also showed exceptional memory skills from a young age and as a one-year-old, enjoyed reciting Chinese poems to his family. He has also achieved advanced higher grades in statistics and mechanics. Like any teenager, Pok enjoys hanging out with his friends and music, particularly playing the piano and guitar and listening to classical and pop music. Edinburgh councillor Ian Perry, the city’s education convener, congratulated Pok on his outstanding achievement. He said: “Congratulations to Pok Lo on his Open University success. “It’s great to see so many of our Edinburgh schools taking part in Scottish Maths Week with their various treasure hunts, roadshows, assemblies, puzzle trails and even visits to our local Universities as well. = received and West Lothian. Pity an article about academic excellence doesn’t inspire beyond Journalistic basics.